Their second 45 was a chirpy revival of The Coasters' Little Egypt, which topped the Swedish hit parade, although it went largely unnoticed over here. Subsequent singles fared less well. Wreck Of The Old '97 was rather unusual in that it was a sorta countryfied skiffle-styled song.The Country Sect album was an ill-timed attempt by the band to experiment with other musical styles. It included covers of Little Jimmy Dickens' novelty country and western song May The Bird Of Paradise Fly Up Your Nose! After this failure The Rock Sect's In marked a return to a basic R&B format. It included the first cover of Reed-Cale's Why Don't You Smile Now? released in Britain. Once again, though, the sales were disappointing. By the time of The Cost Of Living 45 only Keith Grant and Don Craine remained in the band. However,Craine and Grant reformed the band under the name Don Craine's New Downliners Sect for a one-off, I Can't Get Away From You/Roses (Pye 7N 17261), in 1967. This was line-up D and E (which recorded the disc). Matthew Fisher was later in Procol Harum. The 45 flopped and Craine quit but a further line-up recorded three quasi-psychedelic Swedish Juke Box EPs:- Spider (JSEP 5580), Lord Of The Ring (JSEP 5584) and White Caterpillar (JSEP 55), all in 1968. The band had earlier had an album of their material Downliners Sect (HMV SGLP 534) released in Sweden back in 1966. It consisted of material from their various Columbia material. Earlier the same year a different take of All Night Worker (with an additional guitar solo not on the UK release) had been issued as a 45 in Sweden, with an alternate take of Outside from their third album on the flip. In the seventies Don Craine joined Finnegan's Wake and he was later in a duo with Paul Tiller called Loose End. The almost inevitable reformation of The Downliners Sect came in 1976 (line-up F) as they sought to plug into the pub-rock circuit. Their three original albums were reissued by Charly. A new single, Showbiz (the title track of a German-only album) was released. Two demos from 1963, Cadillac/Roll Over Beethoven, were put out by the German Lava label in 1979. However, they weren't much in demand and after a US-only 45, Colour Coded Red, and the 1986 Live In The 80s album was released in Sweden the reformed group began to lose members but still they soldiered on recording a further album, Savage Return (Promised Land 456780) in 1991. Craine and Grant also became involved in the British Invasion All-Stars along with former members of The Yardbirds, Nashville Teens and Creation. 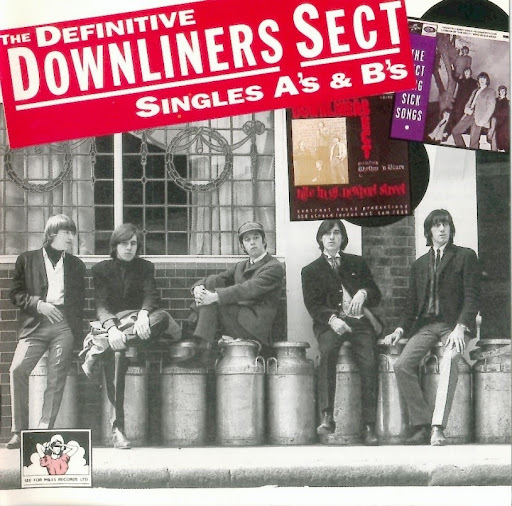 There's also a recent Downliners Sect album called The Birth Of Suave on the Hangman label, and as we head into the next century we've learnt that Don Craine is a some-time member of Thee Headcoat Sect, along with cult-garage guru Billy Childish (ex Milkshakes, Mighty Caesers and current Headcote), who happens to be a big Downliners Sect fan.